Concerns: Jennifer Webster (centre) said the closure of the branch would have a knock-on effect for businesses in Ossett. Ossett’s ‘thriving’ centre will take another hit this year, after it was announced that the town’s Barclays branch will close later this year. The branch, on Bank Street, Ossett, will close on Friday, May 17. The town’s Yorkshire Bank and Natwest branches also closed in recent years. Barclays said that fewer customers were visiting the branch, and that 47 per cent of customers now regularly use alternative branches. But Jennifer Webster, a local businesswoman, said that the closure of the branch would have a knock-on effect for businesses in the town. She and her husband run three businesses in Ossett, all of which bank with Barclays. She said: “It’s always busy, you never go into an empty branch. Without the Ossett branch, Jennifer and her husband will have to find time to travel to Dewsbury or Wakefield to bank their cash. She said: “It’s an added journey, an added risk because at Barclays Ossett you can park directly behind the bank and there is CCTV there as well. It’s an extra short walk into the bank with cash. “We might have to consider changing to another bank. 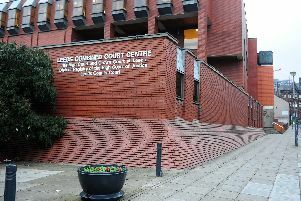 They added that the two members of staff impacted would be redeployed to the Dewsbury branch. The bank said they were writing to affected customers and would liaise with local businesses to discuss alternative banking options.